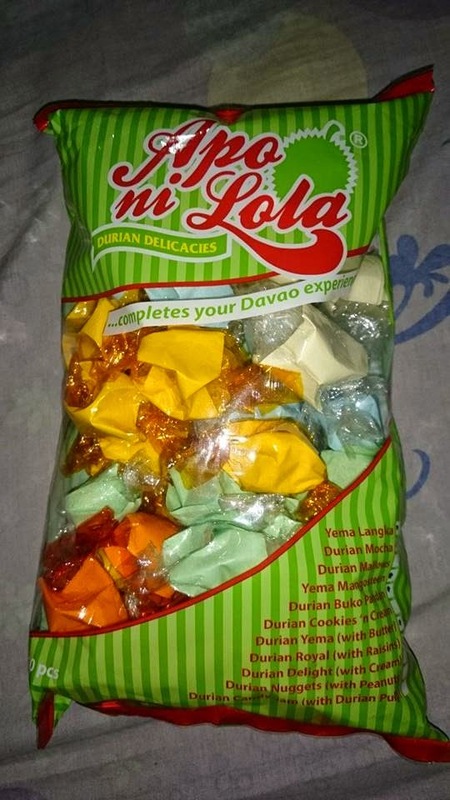 What Pasalubong to Bring from Davao City? Whenever we travel for business or leisure, it is natural for us to buy pasalubong for families and friends. Key chains, shirts and small trinkets are very common. However, if you are visiting Davao City then there is only one pasalubong that will complete your Davao experience. 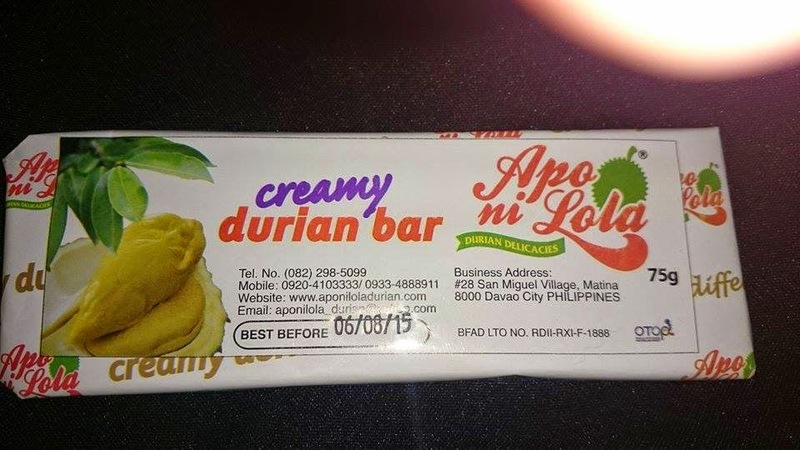 Apo ni Lola Durian Delicacies has grown strong over the years to become the No. 1 pasalubong must-have. It's main branch is located at 28 San Miguel Village, Matina, Davao City. 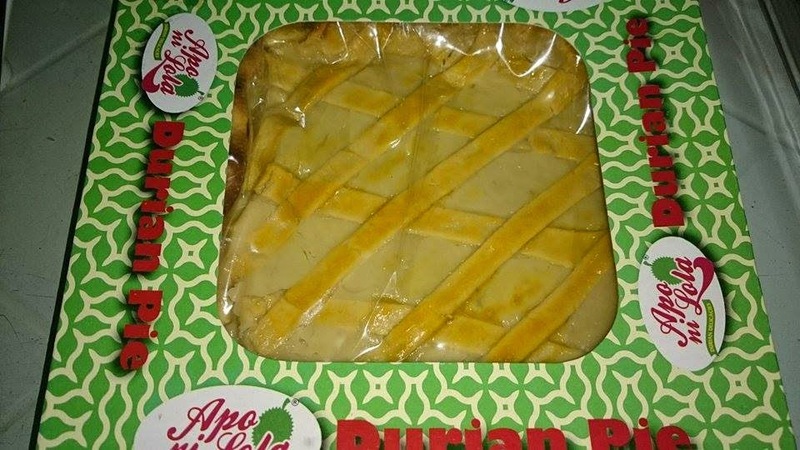 They are famous for their delicious durian candies available in different flavors. Their best seller is actually the candy bar available in different variants too. 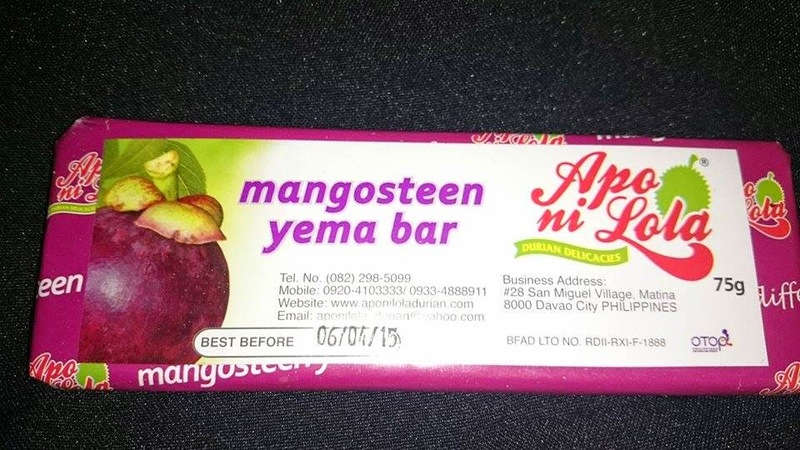 I super love the Creamy Durian Bar and the Mangosteen Yema Bar. These are highly recommended because they are so yummy that you would love to have a big chunk of it. You have to make sure that you get some durian and mangosteen tarts too. They are actually my favorites. The crust are always freshly baked and the filling is just perfect. Recently, they have expanded their array of products. 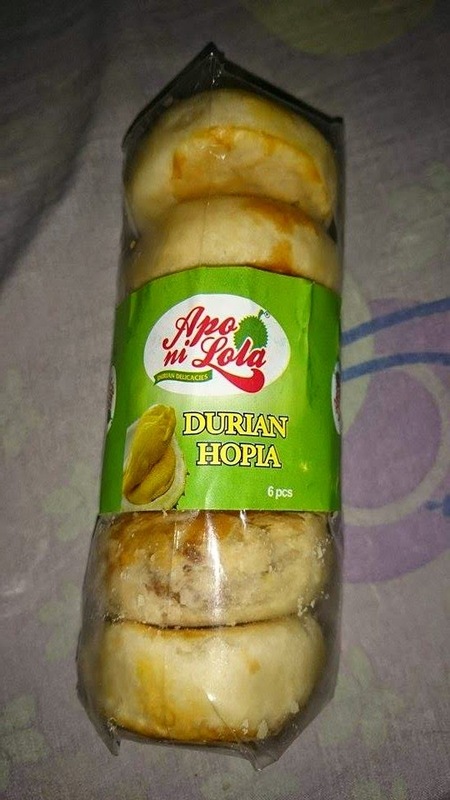 Apo ni Lola Durian Delicacies also offers Durian Pie (which I am going to review in a different post), Durian Jam and Durian Hopia. On a tight budget? You don't have to worry because their products are very affordable. For orders, inquiries and deliveries, you may contact them at 09204103333 or 082-2895099. They also have a branch in Abreeza Mall. 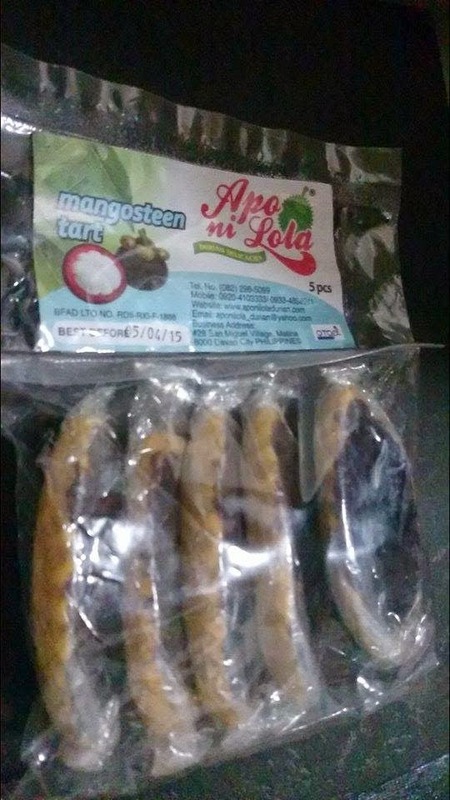 And now, I am running a quick giveaway so, that one of my readers will have the chance to taste these yummy treats from Apo ni Lola Durian Delicacies. Just follow the mechanics found in the rafflecopter widget. Don't forget to tag My Metro Lifestyle and Apo ni Lola Durian Delicacies in your shared posts and follow all the steps in rafflecopter so, that your entries will be valid. I will announce the winner on April 19 and the winner would have to reply within 24 hours. This will be a quick giveaway because I have to send the prize as soon as possible. UPDATE: CONGRATULATIONS, JIM MACARAEG! Please send me PM on facebook with your shipping details within 24 hours! Have you ever scored big savings on a product you’ve dreamed of having? Do you remember what you felt when you were able to bring home something that you’ve worked so hard for? That feeling provides a high like no other. 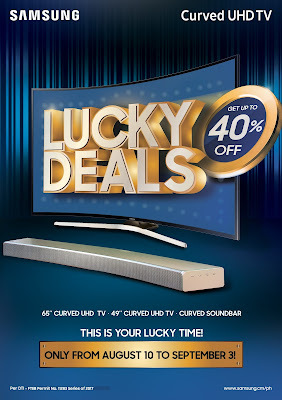 Well, today is your lucky day with the Samsung Lucky Deals! Fulfill your dreams of having state-of-the-art home entertainment devices. 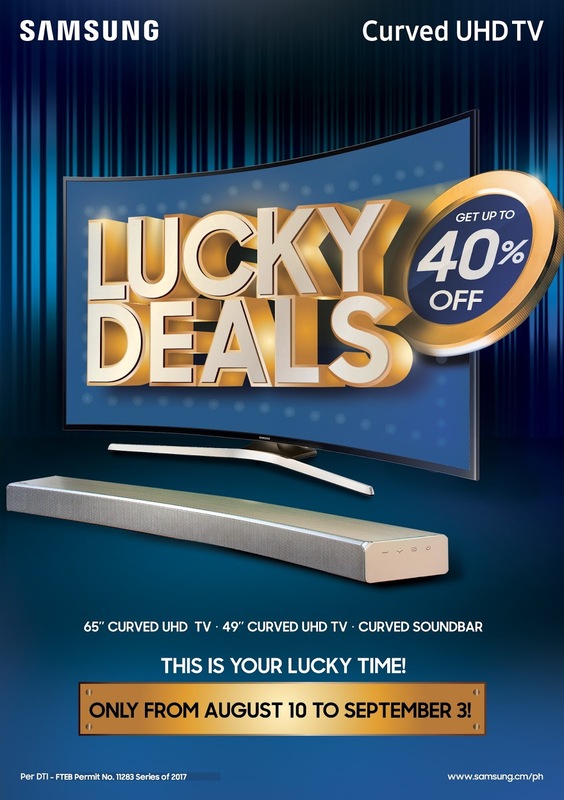 From August 10 to September 3, the global tech giant is giving its customers up to 40% off the price tag on their 49 or 65-inch Curved Ultra High Definition (UHD) televisions and Curved Soundbar. These UHD TVs are a perfect addition to your home. Its curved screen design visually wraps you, surrounding your senses and delivering a wider field of view. You’ll get an immersive viewing experience when watching your favorite TV series or film that it’ll seem like you are in it, not just looking at it. Equipped with a UHD upscaling engine that ensures optimized production, these units do not leave picture quality to chance. Not only does the TV process UHD sources at crisp 4K resolution, it even converts lower-resolution content to a level of clarity that’s almost like Ultra High Definition. Lastly, Samsung is also offering a 30% discount on the Samsung HW-MS6501 Curved Soundbar, complementing a pristine visual treat with superb audio. It lets you bring home cinematic depth and richness of sound to complement your ultimate viewing experience. Get lucky now! Know more about this promo and the Samsung Curved UHD TVs and Curved Soundbar by visiting Samsung Electronics Philippines’ official Facebook page or samsung.com.ph. Don't miss the chance to win $100 Gift Card from Ottica. This is open to US and Canada only. Enter for your chance to win $100 to Ottica.com! Sponsors include: Wean Green, Momobaby, Gina's Soft Cloth, I See Me! Have you wondered about what balancing your pH can do for you and your body? Multiforce helps you achieve optimal well being and all around good health. This daily supplement is easy to drink taste great and helps you on your journey to a better, healthier you. By Helping to neutralize the effects of harmful acidity caused by everyday lifestyles and diet, Multiforce helps you live life balanced. MamatheFox and all participating blogs are not held responsible for the sponsor who fails to fulfill their prize obligation. How to Hire the Right Contractor? You might find yourself in need of the services of a skilled contractor at some point in the future. A contractor is a person who is in charge of a crew of workers during a construction project. Needless to say, you need to be sure you hire a really good contractor. Otherwise, there is a chance that your construction work will not be done correctly. Therefore, it is important that you take the hiring of your contractor very seriously for the safety of your family. Here are some of the things that should be your primary concerns when you are going to be hiring a contractor. 1. What sort of track record does the contractor have? You should always investigate the track record of any person you are thinking about hiring to do work at your home. This is especially the case when it comes to contractors. You need to be sure that this person is legit and has not been sued by any of his previous clients. A great place to find out a lot of good info about contractors in your area is the Better Business Bureau (BBB) website. They will give ratings to contractors based on a variety of factors. 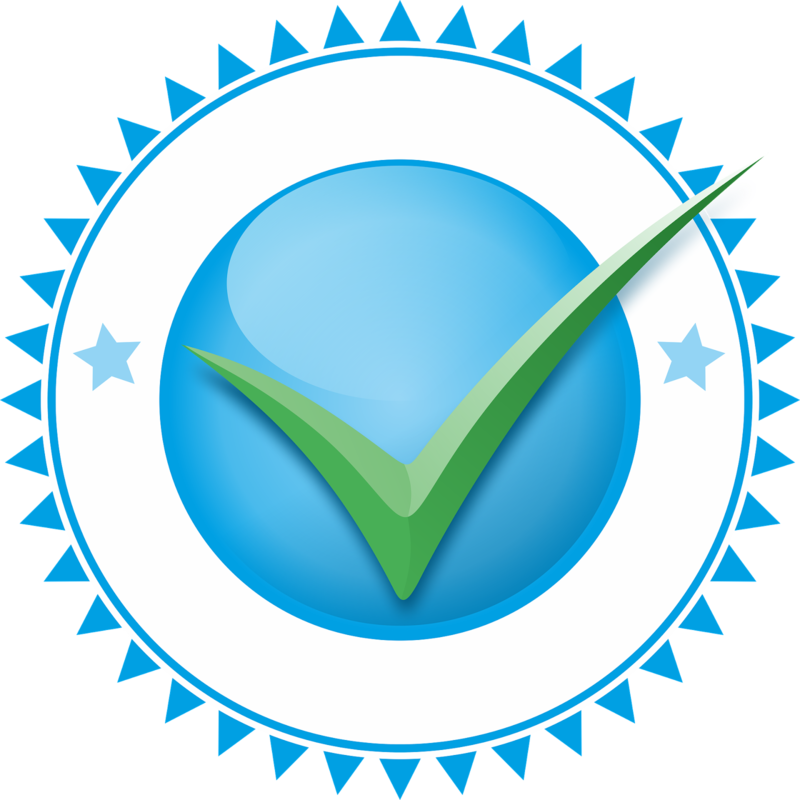 You should only consider hiring a contractor if he has received a high BBB rating. It is always important to know exactly who you are dealing with where your contractor is concerned. 2. Does the contractor have a valid license? Why is it important for the garage remodeling contractor you hire to be licensed? You need to be sure that the contractor who is in charge of your construction project has received all of the necessary training that your state requires. There is no way to determine this unless you see a contractor's valid license to work in your state. 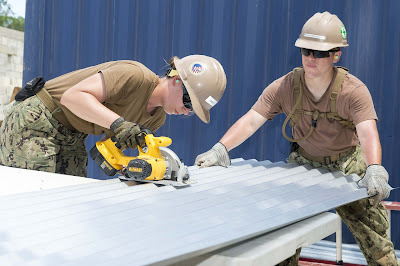 Many people try to work as a contractor without a valid license. They are able to do this because many people simply assume that the contractor they hire is licensed. However, that is not always the case. Hiring an unlicensed contractor could mean that you will receive construction work that is substandard and dangerous. 3. Are the contractor and all of his workers covered by a current insurance policy? It is essential that every person who performs construction work on your property have insurance coverage. This is because damage to your home and property can happen during the course of the construction project. 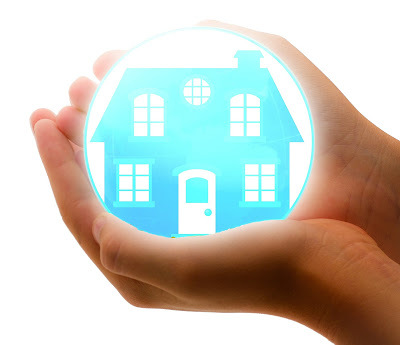 The insurance coverage that the contractor has will compensate you for any damage that is sustained to your property. Do not take the contractor's word for it that he is insured. Make sure you ask to see his valid proof of insurance. For this exciting giveaway, you have the chance to win (2) sets of Empyrean Bedding Sheet Sets! MamatheFox and all participating blogs are not held responsible for sponsors who fail to fulfill their prize obligations. Open to US only. 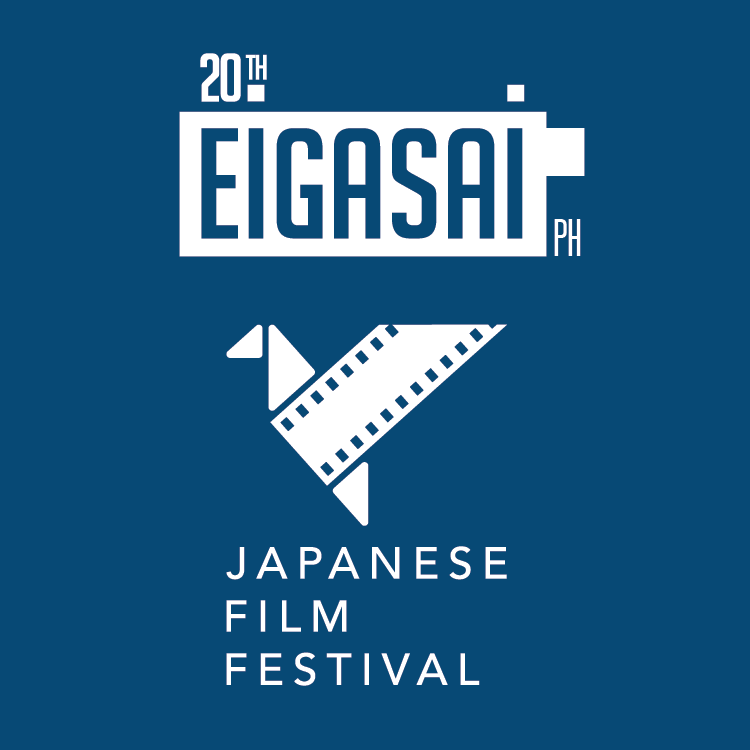 EIGASAI is the annual Japanese Film Festival held in the Philippines. It is presented and run by the Japan Foundation, Manila and in celebration of the Philippines-Japan Friendship Month. It is one of the largest and popular film festivals attracting over 20,000 audiences every year across the Philippines, showcasing a vast variety of cinematic delights from drama, romance, anime to recently released films in Japan. This year, it is happening across the country in 6 major cities including the City of Smiles - Bacolod. During the festival, Bacolod residents and those in nearby areas are invited to enjoy a FREE screening at SM City on August 24-27, 2017. You read more about the movies that are going to be shown via this link. So, don't miss the chance to learn more about contemporary Japanese cinema, arts and culture. For the complete screening schedule, click here. Seats will be available on a first-come, first-served basis. Also, Japan Foundation, Manila and their sponsor, Canon Philippines are running a contest exclusive to residents of Bacolod where you can win a special prize plus limited edition EIGASAI polo shirt. Campaign will run until August 24, noon. You can check out the full details here.